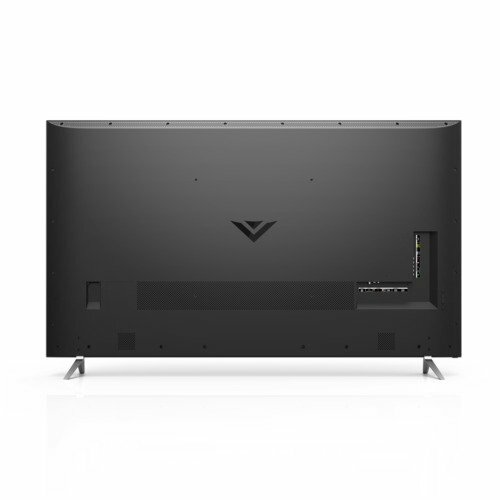 With 2160p resolution and this spacious 65-inch LED screen, VIZIO M65-C1 delivers lifelike detail. This means you are able to take in movies in 4 times the resolution of 1080p. Also, Clear Action 720 produces incredibly clear images during those fast-moving scenes as well as sports. One of the best features of this TV is Full array LED backlighting which enhances the overall 4K picture quality including black levels, peak whites, and color. To produce this superior 4K picture quality, VM50 UHD Engine supports this TV with its amazing performance in processing 4K signal as well as producing 4K picture on this 4K screen with clarity and precision details. 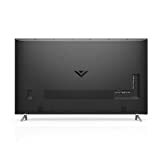 So, if you enjoy watching action movies, playing games or simply want a TV for amazing viewing experience, this model from Vizio will surely thrill you. This TV isn’t the sleekest, slimmest TV you can purchase, but neither is it made with sturdy, heavy materials like some old plasmas. It sports a thick panel depth and robust-looking bezels. The gray, smooth highlights around its screen are really nice so the overall impression on VIZIO M65-C1’s design is great. Regarding the connectivity options, this TV boasts a premium selection of ports. Its users will surely be pleased to find nothing less than five HDMI inputs (three of those inputs support HDCP 2.2). Also, you will find an Ethernet (LAN) input, a single USB 2.0 port, as well as connectivity options for composite/component connections, and a coaxial jack for antenna/cable connection. At the end, QWERTY keyboard remote control (double-sided) is included with this TV from Vizio. This flat, wide controller features easy-to-press and wide buttons and an all-black aesthetic. The top side is a usual remote with volume/channel rockers, app hotkeys, and so on, but the back side of the remote stands in as a keyboard. Therefore, this is probably one of the most usable, approachable remotes out there. This TV is equipped with the applications people mostly use – Amazon Instant Video, UltraFlix, and Netflix, the three major streaming providers for Ultra HD content right now. You will also discover plenty of other popular and useful options such as VUDU, YouTube, Pandora, Spotify, Facebook, PLEX, and Twitter. Like pretty much everything about VIZIO M65-C1, the smart features are really simple, but they work great and just as they should. On-board menu software on this TV is plain and simple as well. The simple layout is comprised of clickable, big menu titles, but the plain presentation implies a high level of customizability (particularly regarding the picture customization).